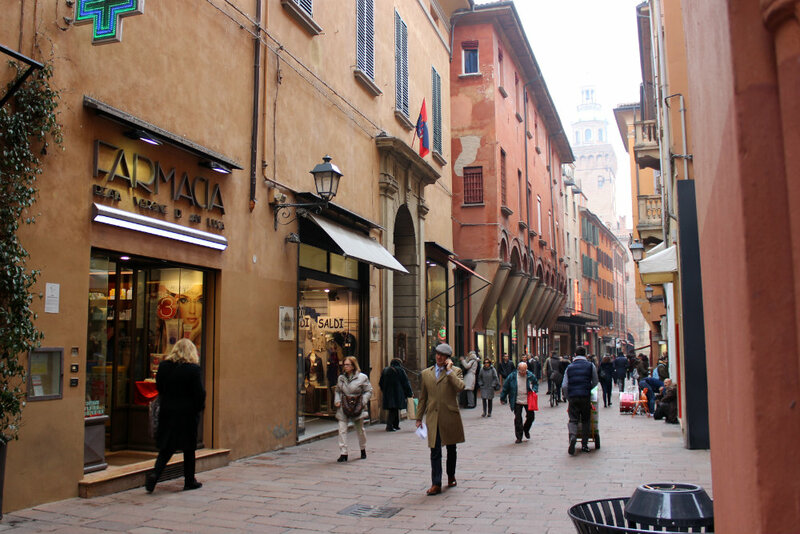 Follow me today on a little virtual shopping spree of Bologna, so that the next time you visit Italy, you’ll be perfectly capable of finding your way through the Italian beauty jungle on your own. Let’s go to the old town then, shall we? 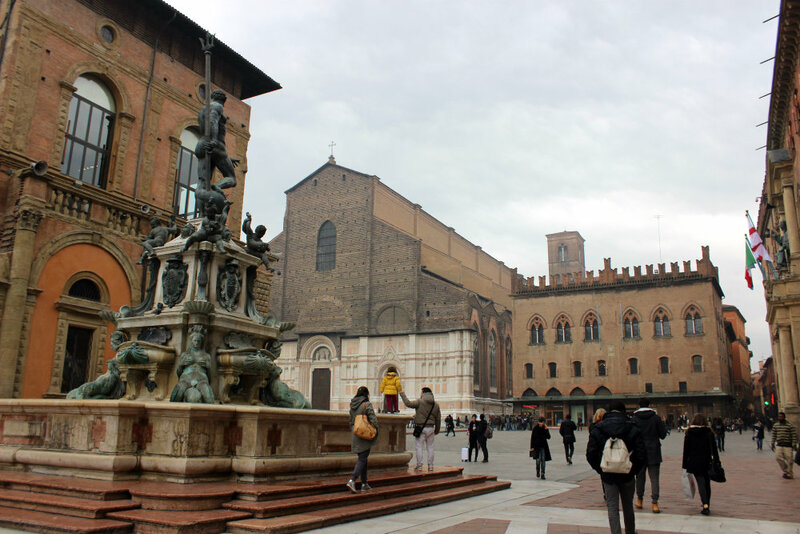 Since there’s a lot of variety in terms of stores, it’s definitely the best place for shopping, and we can do a bit of sightseeing too… I’ll see you by the Neptune Fountain, Bologna’s most popular meeting point. 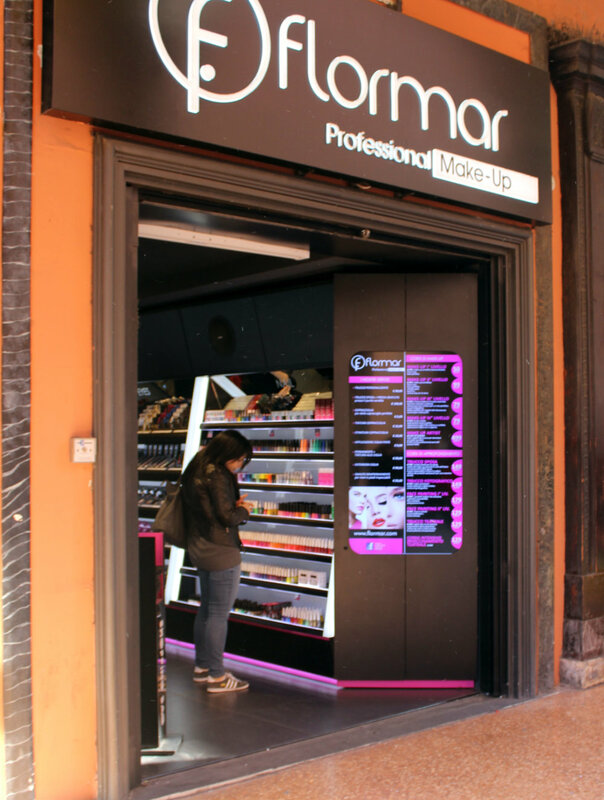 If you’re interested in high-end cosmetics, we should go to a profumeria (beauty store). Most profumerie belong to big retail chains, like Sephora, Limoni or Douglas, but quite a few independent stores still survive. Some of these are called bioprofumerie and only carry natural and organic products. Would you like to check one out? 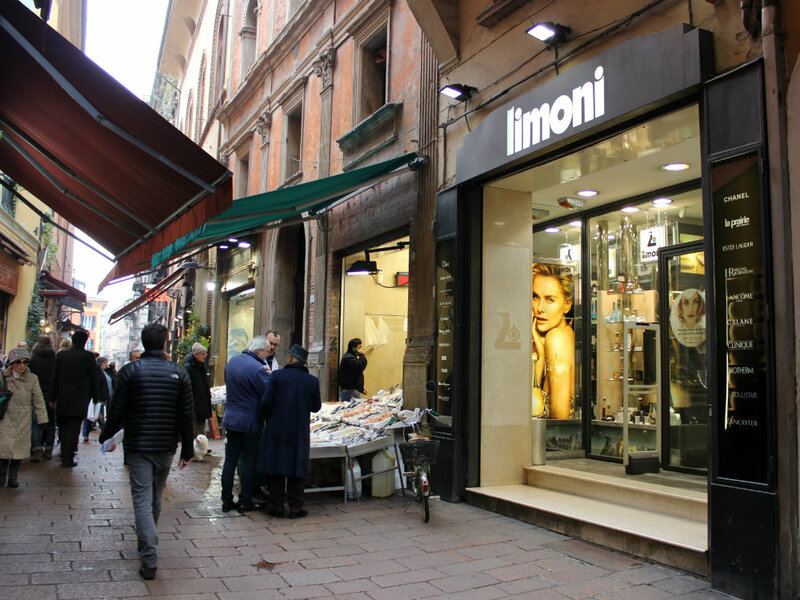 This Limoni beauty store used to be a church, and it was built in the 18th century. Can you see the décor inside? Pretty cool, eh? Another Limoni store right next to a fishmonger. There are lots of amazing independent food stores in this area. Would you like to have a look around? Oh, you’re saying you’d rather go to a makeup counter? Well, actually, here we don’t really have makeup counters. Our department stores are usually smaller than those in the US, and most of the time their beauty departments only have self-service aisles instead of counters. 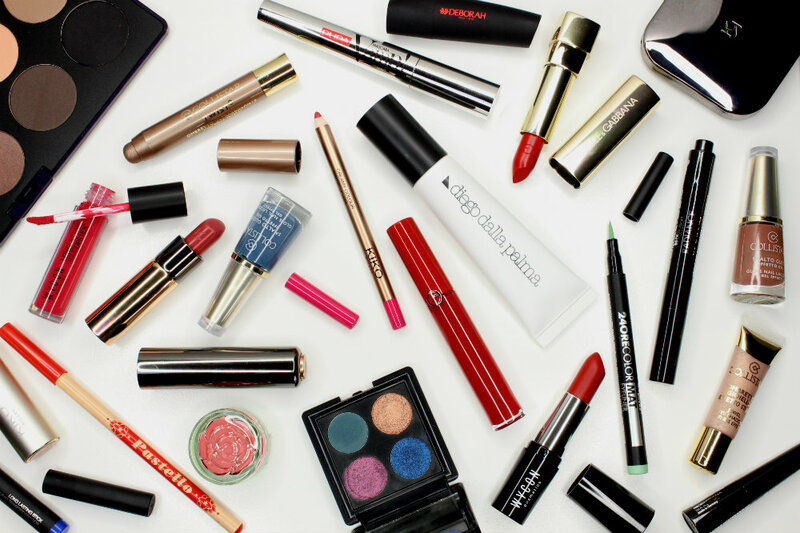 If you’re looking for what you’d call ‘drugstore makeup’, we can’t go to a drugstore. Why, you ask me? Well, because our drugstores (farmacie) are very different from American ones and don’t sell much else other than medicines. 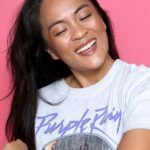 The only beauty products you can find there are French pharmacy skincare (Bioderma, La Roche Posay, Avène, and the like), so if you’re interested in Maybelline or similar Italian brands, we should go to a supermarket instead. Here, all supermarkets have a beauty corner where you can find products in the drugstore price range. The same types of products can also be found at Acqua & Sapone or Tigotà, two retail chains that specialize in cleaning supplies and personal care items. I don’t know if you have something similar in the US, but they kinda remind me of drugstores, minus the drugs! Of course we’re going to KIKO! Being an Italian company, their stores here are literally EVERYWHERE. There are also a few other standalone stores of similar brands you may want to check out. One I personally know and like is WYCON, but the other day I set foot in a Flormar for the first time and saw they had this big selection of colorful nail polishes you might also enjoy… Total eye candy! If you’re tired from all the walking and shopping (it’s a hard life, I know), we can stop for a little lunch whenever you want. May I treat you to a nice selection of local cheese and cold cuts? OK, friend, now that our stomach is full, I think we can call it a day. I hope you enjoyed our little beauty tour of Bologna. Let’s do it again sometime! There are 80 comments on this post. Leave yours. You’re welcome! I really hope you get to visit Italy soon! Thank you! This was wonderful. I want to visit Italy very much. My lucky daughter has been to Italy twice on school trips and has returned with wonderful stories of food, friends and laughter and an overstuffed suitcase from shopping. Hi Carolina! Great post! I went on a family tour last year and we made several stops in Italy – Bolzano, Venice, Tuscany (San Gimignano), Rome. I looked for Kiko, but our time was limited and it was hard to find shopping time at all. Hope to get back there some day in the not too distant future! Hi Susan, thank you! Well, if you’re pressed for time, shopping is definitely not a priority when visiting Italy… There are so many things to see first! I hope you come back soon! Hi Nati! It’s great to hear you like my city so much, but not so great that your husband couldn’t find a job here. I hope you get to fulfill your dream someday! Ciao! 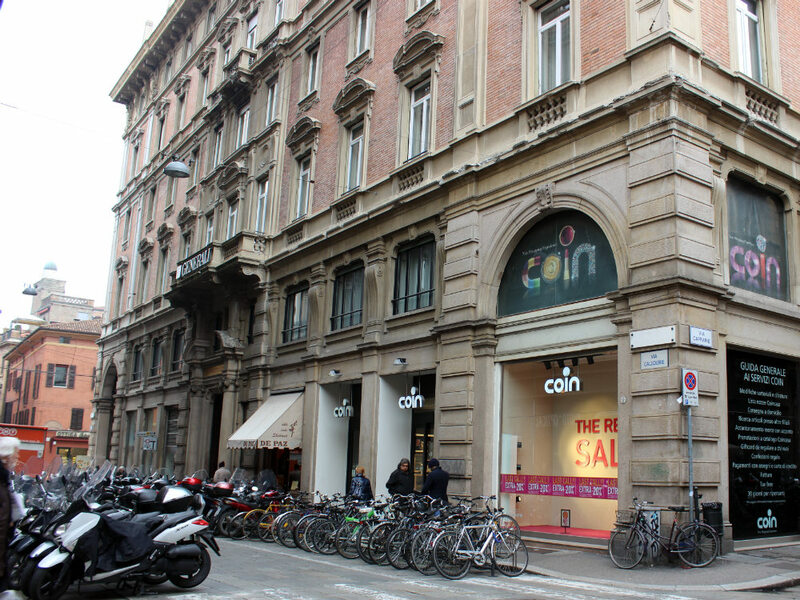 Whenever I go to Italy I always go makeup shopping and I always go to Coin! I also go to the farmacia to find cool stuff! That’s where I discovered Berocca! Nice to have you while Karen is “busy”! Love this post!! 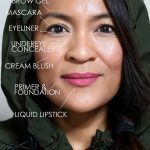 All of it, not just about the makeup! Thank you and I am looking forward to reading more. Aww, I’m so glad, thank you for your kind words! I’m glad you enjoyed it! France is definitely a great place to shop for cosmetics. thank you! Oh I miss Italy! I was stationed in Aviano from 89-91. I have never recovered from shrinking an emerald green wool Benetton (remember them!) sweater when I came home. It would fit Barbie. My mom had thrown the wash in the dryer for me, and that was that. I could never find much in the way of makeup, but now I know why. The food and clothes at the time, so worth it! I miss the weekly Mercato! The fun of finding awesome clothes and the challenge of trying to try them on in the back of a van (with 4 other women also using said van, it’s too short to stand up, and no dividers). Easier when you are 20 ad limber. I was figuring out where the really awesome stuff was when I left. Thanks for sharing your memories, Michelle! 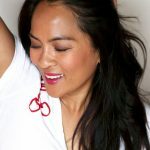 What a wonderful guest post! I enjoyed every bit, including the non-makeup photos. I have actually visited Bologna and all of those makeup shops. Thank you for bringing back fond memories! Thank you, Anna! I’m so glad you enjoyed my post, I wasn’t sure anyone would be interested in this. This was very helpful! I was in Italy in 2013 and didn’t know where to begin to search. I kept hearing about Kiko, but never saw a store. I plan to return soon, so this will point me in the right direction. 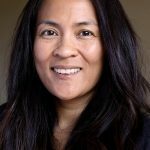 Did a study abroad there for a few months, and love your post. I love seeing the city and the neat tidbits about beauty. When I went I didn’t research ahead of time, so I missed out on the “drugstore” make up in Italy. 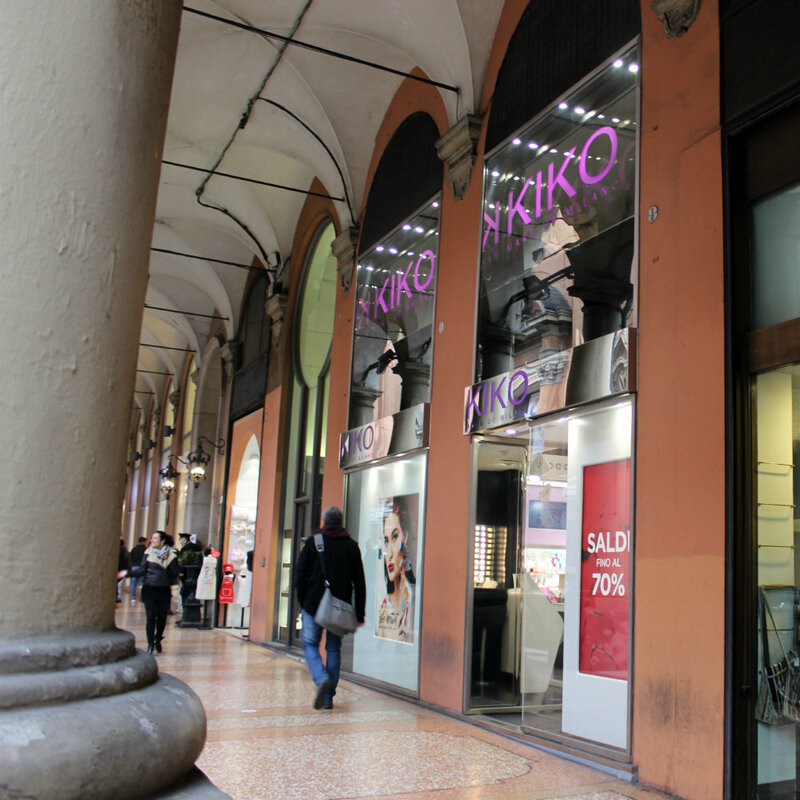 But I think I bought out all of the Kiko shop in Verona 😛 Great post and keep it up! A beautiful virtual tour; thank you for taking the time to show us around! I visited Spain a decade ago & have longed to return. I also have an expat classmate in Rome; you’ve definitely triggered my wanderlust! Rome is so amazing, it would be great if you could visit your classmate there! I would so love to go to Italy! Everything seems so different but it makes sense and the street shops look so cool. Bologna seems like a beautiful place to visit and I certainly have to add a visit to my bucket list. I haven’t tried too many European beauty brands but I’m definitely looking forward to trying some things as I’ve heard such great things about them. Especially Kiko. Thanks for the lovely read Carolina! I hope you can visit Italy soon! I know KIKO are opening more and more stores in the US, so hopefully you get to check out their range in the near future. I dream of traveling to Italy. Thank you for the sight see. Interesting! I always wonder how day to day life (like shopping for makeup) is different in other countries! 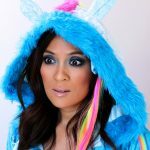 Hi Rachel, I’m so glad you found my post interesting! Ah, Italy! I have only passed by Bologna twice by train, but the next time I’ll make sure to visit! Hi Isabella! You should definitely come to Bologna in the future. It’s less touristy than places like Florence, Venice or Rome (which are totally amazing), so you get a genuine taste of Italy. Wow I loved this so much! It felt like I was actually walking around and being there! This was a very fun and enjoyable post; such lovely pictures and atmosphere! I look forward to seeing more cool posts from you~~! Aww, thank you, Teresa. I wanted to give you a little taste of what being in Bologna is like, and I’m so glad I was able to! Thank you so much for this, it’s bringing back so many memories of my 6 month stay in Bologna. Such a beautiful city! I can’t wait until I get another opportunity to go back there! Nice to hear you had a great time in my city! Shopping in Italy sounds similar to shopping in Germany as far as the design of the shops is concerned. If I ever get to Bologna, I will keep that guide at hand and maybe ask for a personal shopping tour with my favorite Italian blogger! Haha, I sure will one day. 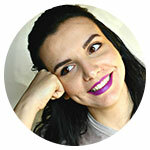 I really enjoyed your post,thanks Carolina! Maybe another post specifically on Kiko, please? Thank you! I’ll definitely do a post on KIKO. Haha, I bet you did! We do have Sephora here in Italy, but it’s nothing like Sephora in the US! I think Bologna is a great place to get a genuine taste of Italy, without too many tourists around. Venice, Florence and Rome are amazing, but there’s more tourists than Italians, so I think it’s a little harder get a taste of the Italian lifestyle and culture. I used all my savings a few years ago to go to Italy for a few months. I rented an apartment in Rome and went all over the place on the weekends. The biggest regret of my life was coming back to Canada. I should’ve stayed in Italy and the second I have the chance to move there, I will without hesitation. Wow, what an experience! I hope you get the chance to come back. How cool! I went to Italy a few years ago and stopped in a Kiko in Taormina, Sicily. I’m still kicking myself for not buying a thing! But the store was so cool and the products looked great. I did end up going to another little shop and bought some perfume – Acqua di Taormina and a big bottle of jasmine single note cologne. KIKO stores are popping up like mushrooms all over the world, so maybe you’ll get another chance to buy something soon. 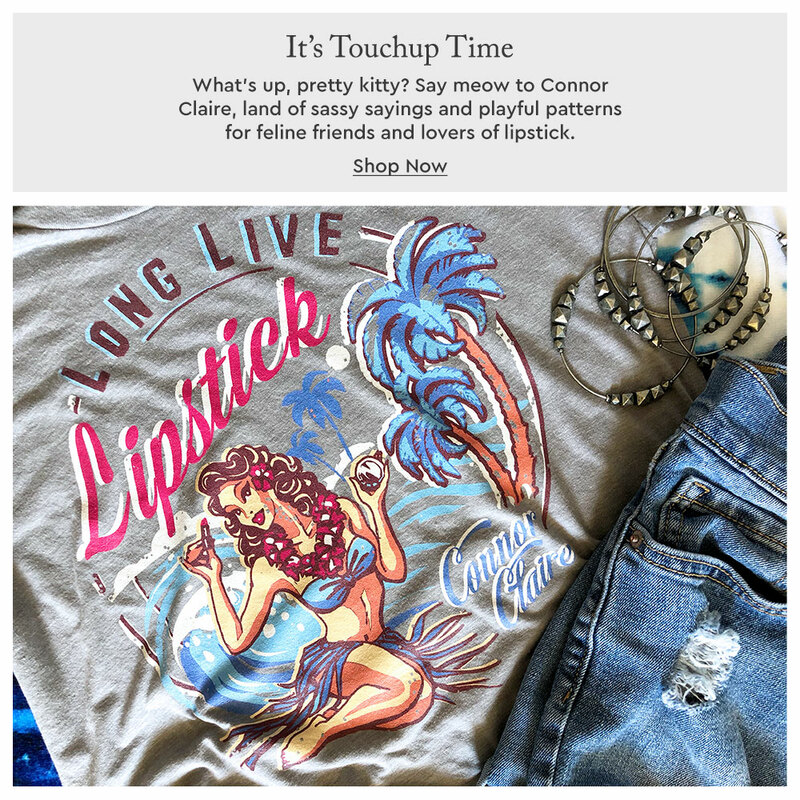 I thought my shopping for beauty “souvineers” might be considered a little strange (since I’ve gotten the side-eye more than a few times about it) so I’m glad to see I’m not alone. I figure since I’m going to get something I can USE and enjoy, it’s nice to have a nice travel memory connected with my purchase. Never anyplace as exotic as Italy but I still enjoy my beauty purchase memories. their nail polishes, lipsticks and lipliner are superbe, of such reasonable prices and good quality too! Wow, can recommend it to anyone. Ciao! Hi Mary, thank you so much for your kind words! Yeah, the food in Bologna is pretty impressive, if I dare say so myself. As controversial as it may be, I always bought my cosmetics in Italy at Conad. I know some people consider a big store like that an affront to Italian culture, but being American the one stop shop was nice! Of course I still bought most of my produce and meats from specialty dealers. I do most of my shopping at Coop (Conad’s competitor) and only buy produce from specialty dealers. You can’t really beat the quality of service and goods you get in smaller independent stores, but they’re (obviously) more expensive and not very convenient when you’re pressed for time. Ciao, Carolina! Thank you for giving us a run down of where to shop. I don’t know if I’d be able to remember what stores are for what brands. I like that Italians enjoy having a snack after a “hard day” of shopping. Ha ha! I’ve been to Italy twice – to Roma, Venezia, Florencia, and Catania. Nice post! I’ll have a little more of the cold cuts, thank you very much! I’ve visited Italy a few times but I’ve never had a chance to stop in Bologna. From your pictures the old town looks so nice! Haha! It does look nice, but it’s off the beaten tourist track, so I think it’s a great place to enjoy a genuine Italian atmosphere. 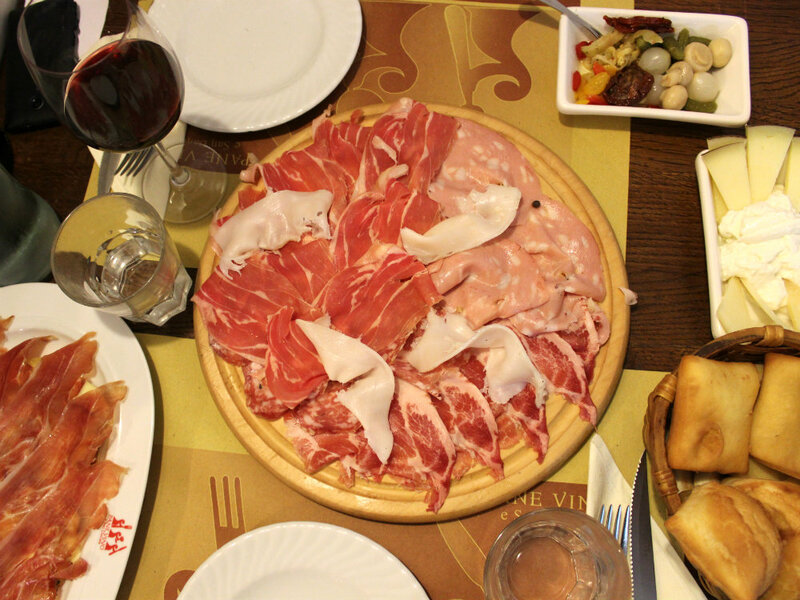 Honestly, even if there were nothing to see in Bologna, I think it would be worth a visit just for the food! I have than exact same blue colistar nail varnish in the pic! You didn’t really talk about them as a brand, I thought their stuff was really nice, on a path with Estée Lauder type cosmetics. I got mine in Sardinia last year and you could find it in the main high end pharmacy in town. Will keep an eye out for more ideas, I’m only a few hours from Italy and in Sardinia most summers. 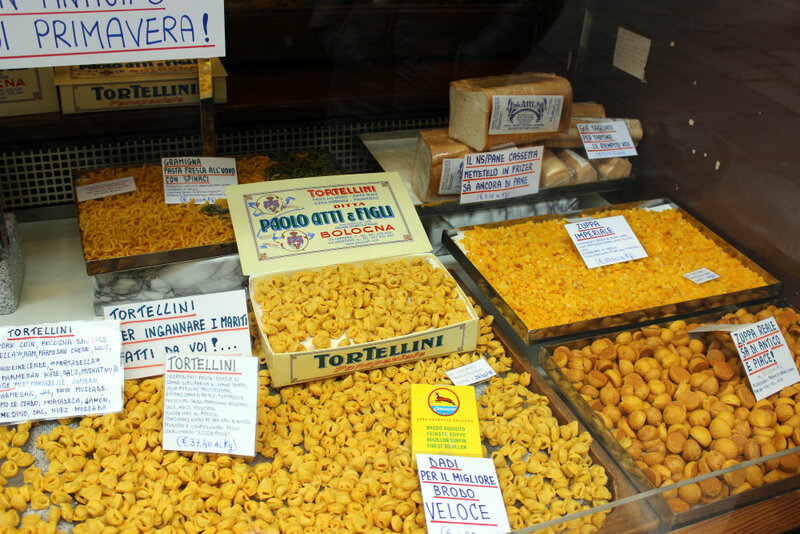 I love this little tour around Italy, a great first post on MBB, Carolina! Italy is a lot like Poland (where I used to live), except there is no Kiko there (unless something has changed in the last two years since my last trip there). Hi Agata, thank you so much! I’ve never been to Poland, but I think beauty retailers are pretty similar across mainland Europe. This is such a wonderful post! 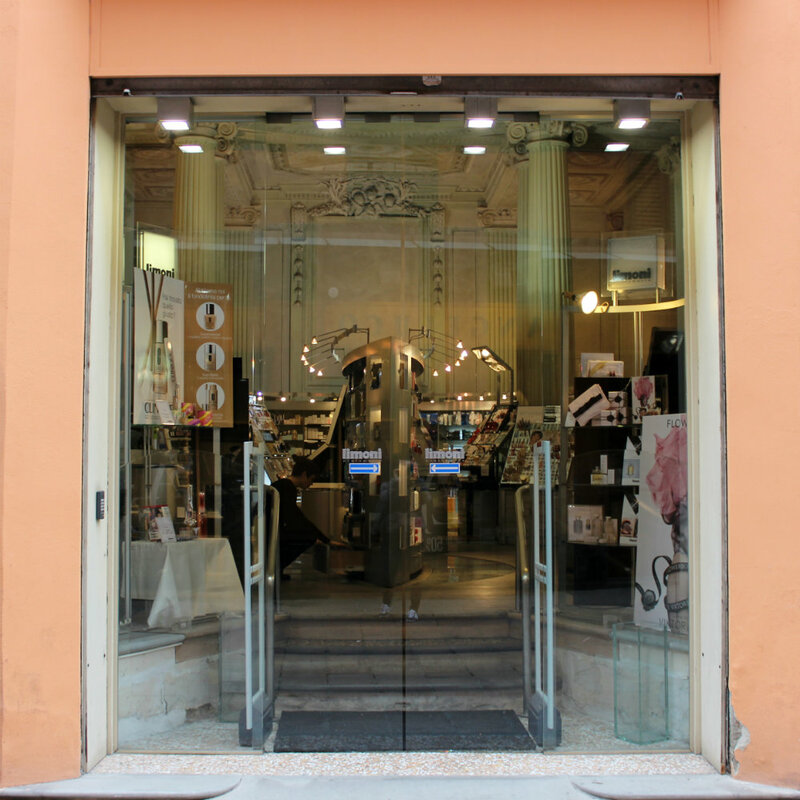 I have visited Bologna before but never shopped for any beauty products while I was there – what a mistake! 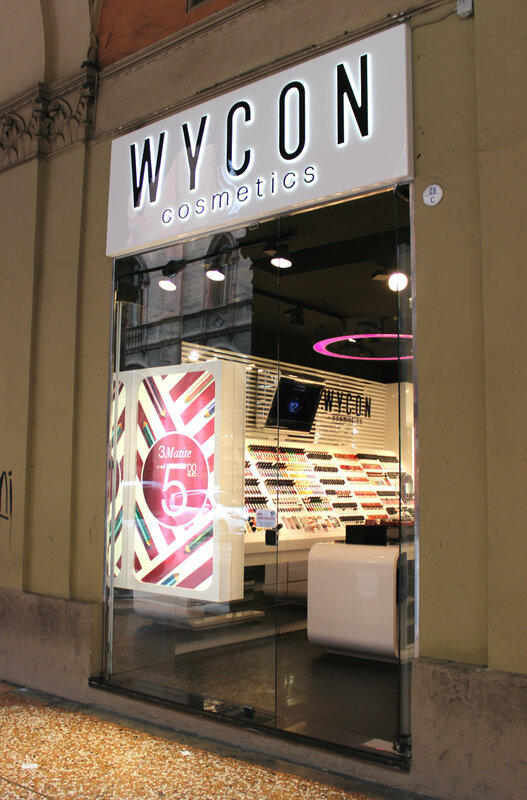 Perhaps I will return to Bologna one day and thanks to you will know exactly where to get my make up fix. I’m surprised so many people have visited Bologna, considering it’s off the beaten tourist track. I hope you had a nice time here! I agree with Bologna being a great place for shopping, I’ve gone once to centergoss (a huge wholesale place for the textile wholesale industry) and it was great. 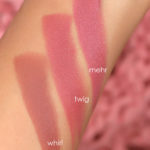 I have also used a buyer in Italy (www.sourcingitaly.com) who helped me getting some cosmetics items to my country. Italy is a marvellous place for shopping, and so is all Europe to be fair, I love France and Spain as well. Thank you for such an informative tour! 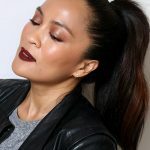 Can you recommend any of those places that will service hair and makeup in Roma? I want to get glammed up. Interested in visiting a store in lieu of paying for an artist to come to me. Your recommendations are wanted! Thank you so much for this info! I’m currently living in Bologna, and I really need to buy a bottle of foundation- the one that actually will perfectly suit me. 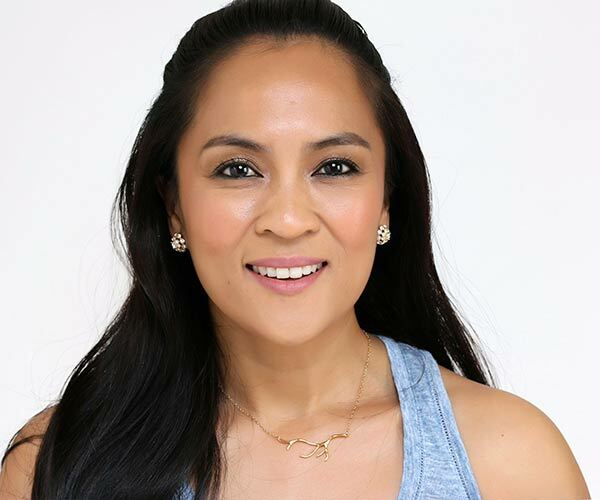 Can you suggest some brands which have good staying power and are for oily skin? Hi there! I’m a Spanish beauty addict visiting Rome this week and besides Kiko and other makeup stores that I find here in Spain I’d like to know about some traditional italian brands for classic eau de cologne, soaps and that kind of stuff that I can’t find here. Those classic brands that every italian know, you see. Thank you so much.